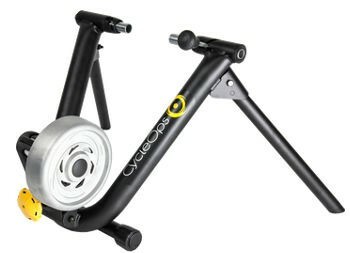 This is a new trainer by CycleOps and replicates the hugely impressive PowerBeam Pro trainer that is currently CycleOps high-end indoor turbo trainer. 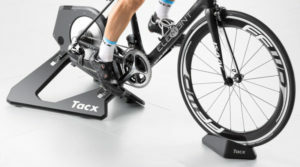 The PowerSync (or Classic Virtual Trainer as it is also known) differs from the PowerBeam because it sports the Classic frame instead of the Pro frame. In practise this means it is slightly less stable because it has a smaller footprint, it does not come fully assembled and it does not fit larger 29er wheels. 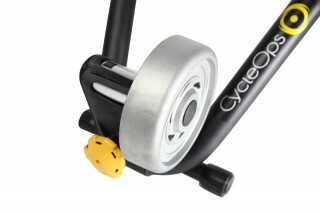 The PowerSync uses wireless communication between a smart device or computer via Bluetooth Smart or ANT+ means you can literally sync the trainer to the CycleOps VirtualTraining software. This software lets you ride real cycling routes that are GPS accurate, meaning the resistance of the trainer is automatically varied in relation to the hill your are riding. It has a built in power meter so that you can accurately see the power output as you cycle and you can train to a higher level. The trainer has a super easy attachment mechanism for your bike and a special 'Clutch Knob' system to allow the optimal tension between your back wheel and your trainer.